Israeli settlers assaulted and severely beat a Palestinian shepherd near the village of Taybeh, east of Ramallah, Tuesday, according to witnesses. WAFA reports that at least seven settlers wearing masks assaulted shepherd Sulaiman Kaabeneh, 50, and beat him with their clubs as he was grazing his sheep, near the village. Kaabneh sustained bruises and wounds throughout his body, upon which he was transferred to hospital for medical treatment. His case was described as moderate. Also on Tuesday, Israeli settlers cultivated Palestinian-owned land previously seized in Khalet al-Nakhleh, according to a local activist. 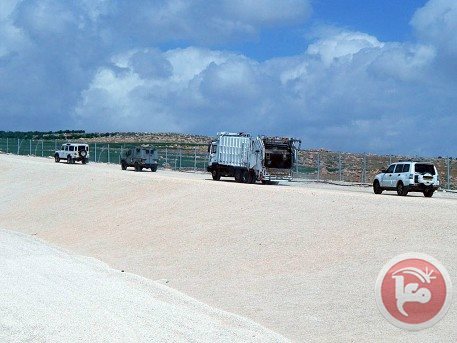 Hasan Breijah, coordinator of the Anti-wall and Settlement Popular Committee, said that settlers from the illegal Israeli settlement of Efrat planted olive saplings on Palestinian-owned land near Wadi Rahhal, to the south of Bethlehem. Settlers had taken the land, earlier, where they set up a tent and structures made of wood and tin sheets, in response to an Israeli court ruling which ordered their evacuation. Settlers assaults against shepherds and farmers have recently escalated in the region, posing great danger to their lives. Several similar cases have been reported by human rights organizations, according to WAFA, during the past few months. More than 500,000 Israelis live in illegal settlements across the West Bank and East Jerusalem, in direct contravention of international law. A recent wave of hate crimes targeting Palestinians and church property in Israel has prompted community leaders to express outrage at the culture of impunity and growing extremism which allow attacks to go unpunished. 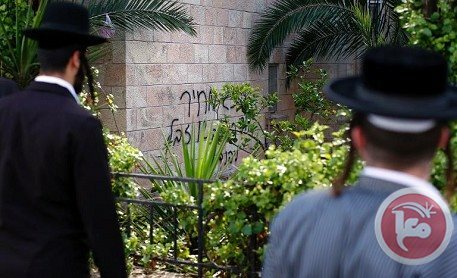 On Friday, vandals spray-painted anti-Christian graffiti on a Jerusalem church, one of at least a dozen attacks in the past two months by Jewish extremists who have also set fire to mosques, slashed tires of Palestinian cars, and vandalized church property and religious cemeteries. The pope's visit to the Holy Land on May 25 has increased attention surrounding the incidents, but Palestinian religious and community leaders say hate crimes targeting Palestinians have always existed, and are in some cases encouraged by Israeli government policy. "The (Israeli) government is not doing enough; with all these attacks we didn't see any arrests. We fear there is a political cover-up from parties in Israel who don't want the incidents to be exploited," Rev. Jamal Khader, spokesman for the pope's visit to Palestine, told Ma'an. Khader says that there is most likely no link between the increase in attacks and the pope's visit, but he worries that impunity for incidences of vandalism will eventually lead to more serious crimes against Palestinians. "If they create this wave of hatred the next move will be attacking people. We should not wait until they translate into physical attacks against clergy and local Christians." Bernard Sabella, an expert on Palestinian Christian history, says that historically, attacks on Christian institutions and clergy by extremist Jewish groups are not new, but still leave a "sour taste" for Palestinians. "There are elements within the Israeli political structure that don't want to pursue the persecution of these people, or they don't think it is a high priority," Sabella told Ma'an. "Unfortunately when these attacks take place we don't see the Israeli prime minister and other high officials taking action by visiting the sites of such attacks." Sabella says that some extremist religious Jews see attacks against Christian institutions as a "mitzvah," or commandment, while others are deliberately responding to the pope's upcoming visit by demonstrating opposition to the presence of Christians in Israel. "That leaves a really sour taste in our mouths and we feel that this is not fair. This is hitting the Christian community and telling the local Christians that they are not welcome." On Sunday, Latin Patriarch Fuad Twal condemned the wave of attacks and questioned the Israeli government's commitment to bringing the perpetrators to justice. "Given that the vandals are largely unprosecuted, one must question the priority of the government to get to the bottom of the problem," he said. To Hind Khoury, deputy chair of the board of Sabeel, an ecumenical center in Jerusalem for Palestinian Liberation Theology, hate attacks are part of a wider context of policies designed to put pressure on Palestinian communities in both Israel and the occupied West Bank. "There is an accepted policy whereby a ruling power is allowed to pursue this policy of expulsion. This impunity has caused Israelis, who are veering more and more to the right, to become fundamentalists and to believe in their exclusive right to the land," she told Ma'an. Racist attacks against Palestinians are simply another manifestation of this way of thinking, she says, with attacks specifically targeting Palestinian Christians a result of wider Israeli government policies aimed at separating Christians from their Muslim community members. 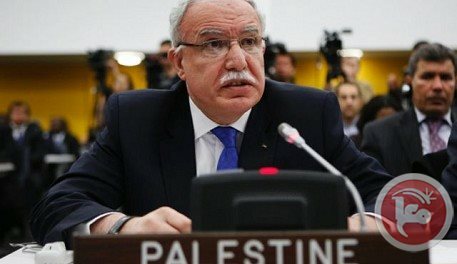 A recent bill by the Israeli Knesset legally distinguishing Christian Palestinians from Muslims, together with a recruitment push for Christians to join the army, is part of an effort "to separate and divide the Palestinian community, which is a diverse community of Muslims and Christians," Khoury says. "They (Israelis) feel and are convinced that they have exclusive rights to the land and we are intruders. We feel very threatened in our existence in our country." Rifat Kassis, general coordinator of the Palestinian Christian group Kairos, agrees that impunity for attacks on Palestinians is part of systemic racism within the Israeli state, but stresses that hate crimes only serve to strengthen the identity of the Palestinian community. "We should see these attacks in the same context of settler violence against Palestinians or farmers, like uprooting their trees or setting fire to fields, and Israel fails all the same to bring these people to justice." The recent concentration of attacks against churches in Jerusalem are not unique, Kassis says, but most likely a way of showing Palestinian Christians that they are not protected, and a way for Jewish extremists to say: "Don't think that we care for the pope." "Palestinians are second or third class citizens in Israel, whether Christian or Muslim, and they know that the state is unable to protect them or provide them with equal chances," he adds. The Israeli government should label the perpetrators of hate attacks as "terrorists," but unfortunately Israel fails to hold its Jewish citizens accountable for attacks against Palestinians, Kassis says. Last week, the Roman Catholic church demanded that Israel act following the discovery of racist slogans daubed on a Vatican-owned property in Jerusalem. Israeli police spokesperson Mickey Rosenfeld told Ma'an that a number of arrests have been made and there are currently a series of ongoing investigations. Police units have also adapted their tactics to monitor sites of high risk, he said. Despite these measures, only one person is likely to appear in court and be tried in connection to the recent spate of hate attacks. "Price tag" attacks within Israel, in addition to attacks by Israeli settlers on Palestinians and their property in the occupied West Bank, were included in the US State Department's 2013 Country Reports on Terrorism, published April 30. Hundreds of ultra-Orthodox Jews gathered Monday near the reputed scene of Jesus' last supper in Jerusalem demanding that Israel keep sovereignty over the site where Pope Francis will celebrate mass. The pope will visit the Holy Land from May 24-26 and before returning to Rome is set to hold a mass in the site known as the Upper Room or Cenacle, on Mount Zion near the walls of the Old City. Jews revere the site as the tomb of King David, which is on the ground floor of the same building. The site is also important for Muslims. "As soon as they touch the 'status quo' of this place, bad things will happen," said rabbi Avraham Goldstein, accusing the Israeli government of wanting to hand the Upper Room over to the Vatican. Sovereignty over the Cenacle, which was renovated by Franciscans in the 14th century before the group was forced out, is a highly sensitive issue. It is currently part of negotiations between Israel and the Vatican which hopes to recover the site. Tradition says it is where Jesus had his last supper with the disciples, before his arrest and crucifixion. It is also where the Gospels say the Holy Spirit descended at Pentecost, 50 days after Easter. Israeli President Shimon Peres told an Italian newspaper during a visit to the Vatican last April that a compromise had been reached on the Cenacle, and that "99 percent" of the issues concerning the site had been addressed. However, no official agreement has been announced. "When 'the crusaders' come here making the sign of the cross and all kinds of rituals, this place will become idolatrous for us, and we will not have the right to pray there any more," ultra-Orthodox Jewish protester Yitzhak Batzon told AFP. 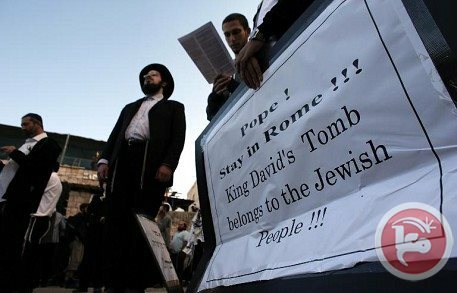 Ultra-Orthodox protesters are planning another demonstration there on May 22 -- just three days before the pope is due to arrive in Jerusalem. Pope Francis' short visit to the Holy Land has already faced obstacles, including a rise in so-called "price tag" hate crimes by Jewish extremists targeting Muslims and Christians. "The unrestrained acts of vandalism poison the atmosphere -- the atmosphere of co-existence and the atmosphere of collaboration, especially in these two weeks prior to the visit of Pope Francis," Latin Patriarch Fuad Twal, the most senior Roman Catholic figure in the Holy Land, said on Sunday. Israeli police officers kidnapped two female students in the yards of the al-Aqsa Mosque, in occupied Jerusalem, while Israeli soldiers kidnapped five Palestinians in the West Bank districts of Nablus and Bethlehem. Local sources in Jerusalem have reported that dozens of soldiers, and police officers, invaded the yards of the al-Aqsa Mosque, harassed several Palestinians, kidnapped two female students of a religious school, and took them to a police station in the city. The sources added that the arrest came after dozens of Israeli settlers invaded the yards of the al-Aqsa Mosque while chanting anti-Arab and anti-Islamic slogans. Head of the Al-Aqsa Foundation for Waqf and Heritage, Mahmoud Abu al-‘Ata, stated that the soldiers kidnapped Almatha Nabulsy from Arraba al-Batouf, in historic Palestine, and Mjeda Hawares. The army claimed the two were chanting “Allahu Akbar”, and moved them to the police station near the Chain’s Gate in the Old City. Abu al-‘Ata said dozens of soldiers and settlers were deployed in the yards since the early morning hours, and harassed several Palestinians. He said this attack is part of Israel’s ongoing assaults against holy sites in the occupied city, as well as in different parts of occupied Palestine. In addition, several Israeli military jeeps invaded the northern West Bank city of Nablus, where soldiers broke into and searched several homes, especially in the center of the city, and kidnapped two Palestinians. The Palestinian News & Info Agency (WAFA) has reported that the soldiers kidnapped Mojahed Salah Antar, 27, from Sufian Street in Nablus, and resident Tamer ‘Aahed Aghbar, 17, from Khallit al-‘Amoud area, east of the city. 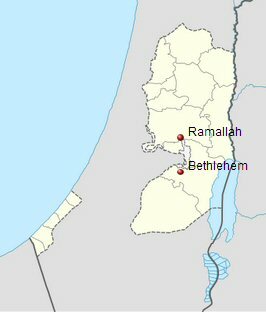 Several military jeeps also invaded Batteer town, west of the West Bank city of Bethlehem, ransacked homes and kidnapped three Palestinians. The three have been identified as Bassam Omar Abdul-Latif, 23, Mohammad Nasser al-Qaisy, 21, and Hasan Ibrahim ash-Shamy, 19. It has already been nearly 50 years that I’ve been talking about the occupation and the settlements from the moral stance. On Friday, at an event at Tzavta, I wanted to say something from the divine stance. If two states are not formed, and swiftly so, there will be a single state—and it will be an Arab state. And if there is an Arab state, I don’t envy the Jews who will live in it. That will be one of the most difficult exiles ever. Leave Netanyahu alone, the government isn’t in his hands. The Likud faction in the Knesset is a faction of extremist settlers. Netanyahu is almost the most left wing person in the Likud faction in the Knesset. The real government in the land is in the hands of the rabbis of the territories, and there is one person who is to blame for that. His name is Yair Lapid, who has the power to topple this government at any moment that suits him. The names, “price tag” and “hilltop youth” are prettified names. We need to look this monster in the eye and call it by its true name. We wanted to be like all other peoples. We had hoped that the day would arrive in which there would be a Hebrew thief and a Hebrew whore. We also have Hebrew neo-Nazi groups. There is nothing that the modern-day neo-Nazis in Europe do that those groups don’t do here. Perhaps the only difference lies in the fact that our neo-Nazi groups enjoy the tailwind of quite a few law-makers who are nationalists, and possibly even racists, and also a number of rabbis who provide them with a basis that, in my opinion, is pseudo-religious. That is, in my opinion, the chasm that lies between the Jews and the words of the Jews. I considered the statements I made at Tzavta at length. When I speak before an audience, I prepare for hours and think about every word. I am a man of words; that is my profession. The Palestinian Authority has contacted various international organizations and influential foreign governments and urged them to list perpetrators of "price tag" attacks as terrorists, a senior official said Monday. Foreign Minister Riyad al-Maliki told Ma'an that he had sent letters to the UN Secretary-General, the Arab League, the Organization of Islamic Cooperation, in addition to the foreign ministries of the US, the EU, Russia, and Canada. In the letters, al-Maliki asked the recipients to designate Hilltop Youth, an ultra-nationalist Israeli youth movement, as a terrorist organization along with other groups linked to "price tag" attacks in Israel and the West Bank. "I provided a complete file depicting all the terrorist attacks these organizations have been carrying out," al-Maliki said. The letter includes quotes from Israeli media and Israeli officials who consider the groups "terrorist organizations." "Price tag" attacks within Israel, in addition to attacks by Israeli settlers on Palestinians and their property in the West Bank, were included in the US State Department's 2013 Country Reports on Terrorism, published April 30. The perpetrators of violence against Palestinian communities are rarely prosecuted. There are hundreds of racist attacks against Palestinians in Israel and the occupied West Bank every year. 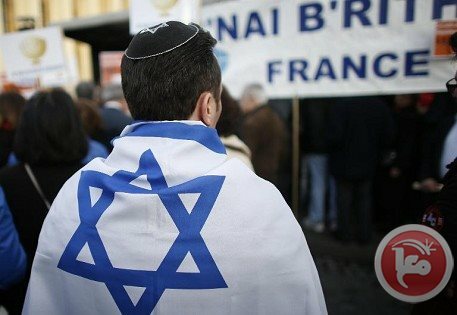 The number of French Jews emigrating to Israel rose nearly four-fold in the first quarter of the year and could touch a record in 2014, a Jewish organisation said Monday. The Jewish Agency for Israel, a global body responsible for the immigration and absorption of Jews into Israel, said 1,407 people left France for Israel between January and March against 353 people a year earlier. "This phenomenon is speeding up" said Ariel Kandel, the head of the Jewish Agency's French chapter. "We will not finish the year with four times more the number than in 2013 but if the current rhythm continues, there will be more than 5,000 French people leaving for Israel, something that has never happened since its creation in 1948," he said. Kandel told AFP that the reasons for the hike in numbers were a "climate of anti-Semitism" and the prevailing gloomy economic situation in France. France's Jewish community is one of the largest in Europe and pegged at around 500,000. The number of French Jews leaving for Israel has been growing steadily. A total of 1,907 left in 2012 and it rose to 3,280 in 2013. More than three million people have emigrated to Israel since 1948, including some 90,000 from France. What are the 'Price Tag' Attacks that are Sweeping Israel? 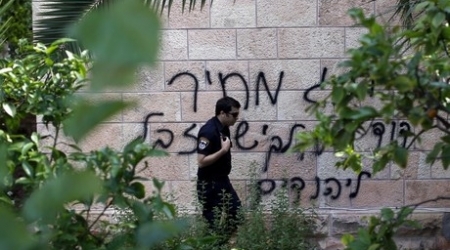 Below are four key questions about the wave of anti-Arab hate crime sweeping Israel. - What are 'price tag' attacks? In 2008, far-right Jewish settlers and other extremists adopted a policy of attacking Palestinians and their property in the West Bank in order to exact a "price" for state moves to take down illegally built settler outposts. What began as a marginal phenomenon against Palestinians has since expanded considerably and spread across the Green Line into Israel, where it has become a much more widespread expression of hatred against non-Jews, but also against Israelis seen as hostile to the settlement enterprise. 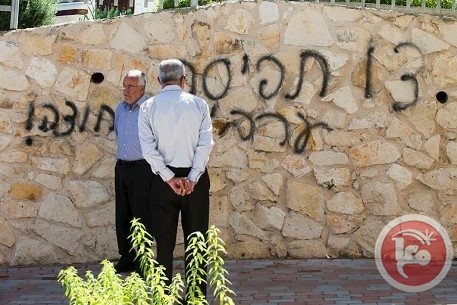 Such attacks, with their trademark offensive Hebrew graffiti, take place at night and tend to involve damage to vehicles, the destruction of olive trees, and arson attempts, mostly against mosques although Christian churches and cemeteries have also been increasingly targeted. 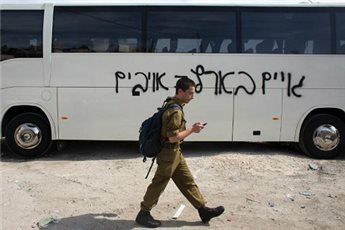 Private homes and Arab-run businesses have also been "tagged", along with occasional attacks on Israeli police and soldiers over their involvement in taking down settler outposts. - Who are the 'price taggers'? Those behind the attacks are believed to be Jewish extremists, most of them aged under 18. Police say the fact that most of those arrested are minors has complicated the juridical process, with the justice ministry refusing to say whether anyone has been successfully prosecuted. Security officials believe the attacks are the work of 100 or so far-right activists from Yitzhar, the most extreme settlement in the West Bank, Haaretz newspaper reported. They are understood to be disciples of Yitzhak Ginsburg, an American-born rabbi who runs a Jewish seminary (yeshiva) in Yitzhar and who won notoriety for writing a book condoning the killing of non-Jews. Others are sympathizers of the late Meir Kahana whose virulently anti-Arab Kach movement was outlawed over incitement to racial hatred after one of his followers, Baruch Goldstein, massacred 29 Muslim worshipers at a Hebron mosque in 1994. - Why have the attacks increased? 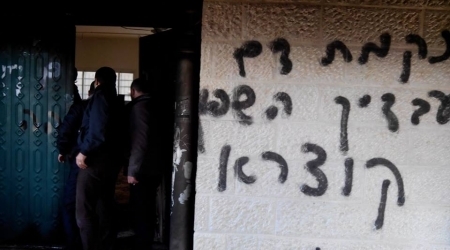 Over the past month, the number of attacks has spiked after police took down a handful of illegally built structures in Yitzhar, prompting major clashes with the residents -- and a significant uptick in "price tag" attacks. Figures quoted by the press indicate there were 16 attacks in April alone, compared with 17 in the first three months of the year. Five of them targeted Christian holy sites inside Israel, with Israeli security chiefs reportedly concerned that extremist elements may step up their campaign ahead of the pope's arrival on May 25 as a way of drumming up media attention. While police acknowledge there has been an increase in attacks on Christian and Muslim sites, they have been cautious about directly linking it to the pope's visit. - What is Israel doing about it? Although police have made scores of arrests, there have been no successful prosecutions for "price tag" attacks and the government has come up under mounting pressure to authorize the Shin Bet internal security agency to step in. Attempts to classify such incidents as "acts of terror" were turned down in 2011 and 2013, although the security cabinet did increase the powers of the security establishment to crack down on such offenders by declaring them members of an "illegal organization." Ministers are expected to table a new request to reclassify such attacks in the coming weeks. The failure by Israel's vaunted intelligence and security services to clamp down on "price tag" violence has been harshly condemned, with commentators from across the spectrum questioning the government's willingness to tackle home-grown extremism. At the end of April, the U.S. State Department for the first time included "price tag" violence in its 2013 Country Reports on Terrorism, in a move condemned by Israel police. Dozens of Palestinians on Monday detained three Israeli settlers who were driving quad bikes through a village in the northern West Bank. 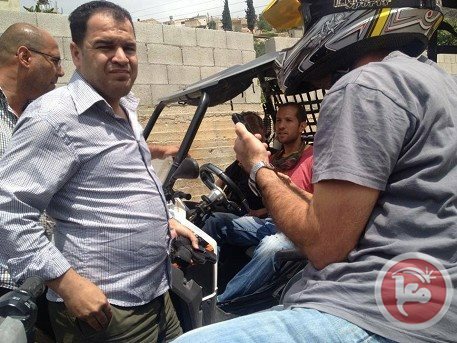 Ghassan Daghlas, a Palestinian Authority official who monitors settlement activity in the northern West Bank, told Ma'an that three settlers entered the Nablus-area village of Burin on four-wheelers and "provoked" residents. Palestinians stopped the settlers and "detained" them in an apartment in the village before contacting the PA security services, Daghlas said. The PA liaison department then delivered the settlers to Israeli officials. A spokeswoman for Israel's Coordinator of Government Activities in the Territories confirmed the incident, saying the settlers rode into Burin "accidentally." "The settlers were taken out from the village by the Palestinians to the hands of the (Israeli) Civil Administration without any damage. In this moment they are handling the extraction of the ATVs from the village," Sapir Mizrahi said. She confirmed that the settlers were armed and said that it was illegal for Israeli settlers to enter Palestinian villages. Israeli police spokesman Micky Rosenfeld said Israeli police were "looking into the circumstances of how they (the settlers) accidentally entered Burin." Israeli settlers regularly make their way onto Palestinian land in the West Bank, often in attempts to damage Palestinian property. In March, Palestinian farmers detained an Israeli settler after they caught him chopping down olive trees in their fields near the Nablus-district village of Talfit. In January, farmers from the Nablus town of Qusra held some 18 settlers captive after they tried to uproot olive trees in the village. The settlers were later transferred to Israeli military forces via Palestinian liaison officials. Settlers routinely attack Palestinians and their property in the occupied West Bank, and Israeli authorities rarely investigate crimes carried out by settlers against Palestinian communities. A group of fanatic Jewish settlers on Sunday sabotaged dozens of grapevines and olive trees in a field belonging to a Palestinian farmer in Beit Ummar town to the north of Al-Khalil city. 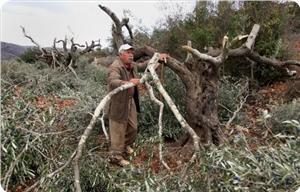 Farmer Hammad Asleibi was shocked when he saw Jewish settlers destroying dozens of his fruitful trees on his own land, which is located a few meters away from Bat Ayin settlement to the north of Al-Khalil. When Asleibi rushed to his land to check the damage, the settlers hurled stones at him, according to the popular committee against the segregation wall and settlement activities in Beit Ummar town. The same piece of land had been exposed before to similar attacks by Jewish settlers. More than 300 of its trees were ruined in previous incidents. Like many cities in the region, the southern West Bank city of Hebron faces a shortage of space for waste disposal. Unlike most cities, however, Hebron's problems are exacerbated by gun-toting Israeli settlers who forcibly access the area's main landfill. 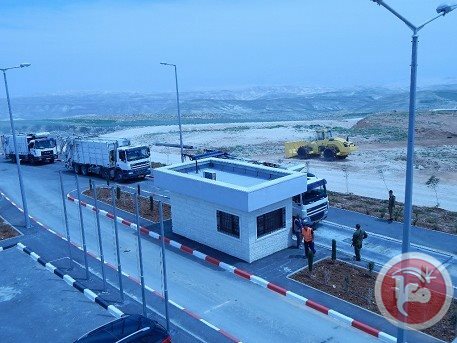 Mayor Dawood Zaatari told Ma'an on Sunday that the al-Minya landfill, which was built with World Bank funds specifically to serve the 800,000 Palestinian residents of the Bethlehem and Hebron regions, is still being used by Israeli settlers who dump their waste "at gunpoint." "We could take the case to international courts in order to stop settlers from using the dump," al-Zaatari added, stressing that "settlements are illegal and we don't recognize them." Al-Zaatari, who chairs the Joint Service Council for Solid Waste Management of Bethlehem and Hebron, added that the council contacted several international organizations and donor countries in attempt to stop settlers' violations. "A legal committee is studying the case and we could end up filing a complaint against settlers," he added. The al-Minya landfill is the first modern waste landfill in the southern West Bank, and was intended to dispose of 34 percent of the entire West Bank's total needs. Hebron has also been suffering from a serious water shortage that is expected to take a few years in order to be fixed, the mayor told Ma'an. Asked about the water crisis in Hebron and the municipality's preparations for the upcoming summer, the mayor said that all West Bank districts face water crises in summer. The problem, he said, is mainly political as Israel maintains control on water resources in the West Bank. Hebron municipality is about to sign a memorandum of understanding with the Palestinian water authority to implement a wastewater desalination facility which will provide initially 12,000 cubic meters of water for agricultural and industrial use every day. Hebron city needs 40,000 cubic meters of water every day. The Palestinian water authority, however, can provide only 25,000 cubic meters, according to mayor al-Zaatari, due to Israeli control over West Bank water resources. Responding to a question about claims of maldistribution of water, the mayor said: "Water distribution is controlled electronically and we make sure that water is distributed equally to all citizens." He added, however, that hospitals, medical centers and civil society organizations and the old city of Hebron are given priority because they deal with humanitarian issues. The head of the Roman Catholic church in the Holy Land said, today, that Israeli hate crimes against local Muslims and Christians are souring relations ahead of a papal visit, AFP reports via Ma'an News Agency. "The unrestrained acts of vandalism poison the atmosphere -- the atmosphere of co-existence and the atmosphere of collaboration, especially in these two weeks prior to the visit of Pope Francis," said Latin Patriarch Fuad Twal, at a news conference in Haifa. "It is also a blight on the democracy that Israel ascribes to itself," he added. This past Friday, Israeli nationalists desecrated a Jerusalem church with anti-Christian graffiti, and this just days after the church demanded Israel act on the discovery of further racist slogans found, this time, on Vatican-owned property, elsewhere in the city. "The bishops are very concerned about the lack of security and lack of responsiveness from the political sector, and fear an escalation of violence," the patriarch said in a statement, on Wednesday. 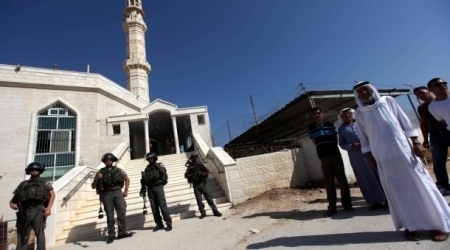 After the most recent attack, Israeli police allegedly moved to "boost security" around holy sites. The pope's visit is scheduled to begin in Jordan on May 24, Ma'an reports. He is, then, due to spend two days in the Holy Land, starting May 25. Jewish fanatics sprayed racist slurs on the walls of a workshop in Petah Tikva, east of Tel Aviv, on Sunday reading “Death to Arabs”. Israeli police said that the incident was part of the Price Tag attacks, adding that an insult to Prophet Mohammed was also sprayed on the same walls. It claimed that investigations were underway but no suspects were arrested. 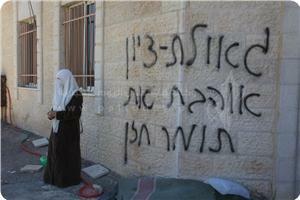 In another incident, Jewish settlers desecrated Nabi Yunus mosque in Halhoul town, north of al-Khalil, at dawn Sunday. An eyewitness, Mohammed Zamara, told the PIC that dozens of Jewish settlers, under Israeli army protection, stormed the town and performed Talmudic rituals in the mosque’s yards. He pointed out that this was not the first time that settlers desecrated the sanctity of the mosque. Dozens of Israeli settlers desecrated a mosque on Sunday morning in Nabi Yunis the town of Halhul, south of Hebron in the West Bank. According to local sources, dozens of settlers stormed, under strict protection of Israeli soldiers, Nabi Yunis area of ​​the town of Halhul, and perform ritual Jewish prayers in the courtyards of the Mosque of the Prophet Yunus and the Old shrine. The sources pointed out that this is not the first time the settlers desecrated the mosque, the shrines and the ancient sites across the West Bank under the pretext that they have a religious right at these sites. The Palestinian News & Info Agency (WAFA) has reported that a number of settlers of the Ma’on illegal settlement, south of the southern West Bank city of Hebron, kidnapped a Palestinian child, and held him from several hours. Israeli soldiers also detained a child in the city. WAFA said a number of fanatic settlers kidnapped the child, Mo’ab Kamel Reb’ey, 6, from the Tiwany village, east of Yatta town, and held him for several hours before releasing him between bushes near the illegal settlement. 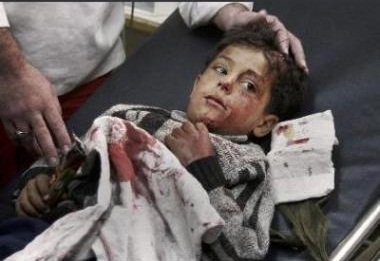 Rateb Jabour, coordinator of the Popular Committee against the Wall and Settlements in Hebron, said that child was found terrified and unable to speak, and was moved to the Abu al-Hasan al-Qassem Hospital in Yatta town. In related news, a number of settlers of the Ramat Yeshai illegitimate settlement, built on Palestinian lands in Tal Romeida in Hebron, assaulted a Palestinian child causing various cuts and bruises. The child has been identified as Awny Emad Abu Shamsiyya, 14 years of age; the settlers also attacked the child’s father when he tried to defend his son. Israeli soldiers arrived at the scene, kidnapped the child, and held him for more than two hours in the illegal settlement. Jewish settlers from Maon settlement, south of al-Khalil, assaulted a Palestinian child after detaining him for a few hours on Saturday. Security sources told the PIC reporter on Sunday that the settlers took the 6-year-old child Musab Kamel Ruba’ee to their settlement and beat him up then released him in a very bad shape. Settlers in the Old City of al-Khalil attacked 14-year-old child Awni Abu Shamsiya and severely beat him and his father when he tried to protect his son, locals said, noting that the Israeli occupation forces were nearby and did not intervene to stop the attack. Israel's best known writer, Amos Oz, says that Israelis behind a wave of hate crimes against Muslims and Christians are "Hebrew neo-Nazis," Haaretz newspaper reported on its website Saturday. It quoted the award-winning author as saying terms such as "price tag," widely used to describe attacks on Palestinians and others by Jewish extremists, are sanitized euphemisms. They are "sweet names for a monster that needs to be called what it is: Hebrew neo-Nazi groups," Haaretz quoted Oz as telling guests Friday at an event marking his 75th birthday. He said there was a difference between perpetrators of such events in the Jewish state and elsewhere. "Our neo-Nazi groups enjoy the support of numerous nationalist or even racist legislators, as well as rabbis who give them what is in my view pseudo-religious justification," Haaretz quoted him as saying. Earlier Friday, vandals spray-painted anti-Christian graffiti on a Jerusalem church, despite police stepping up security around religious sites ahead of a visit by Pope Francis later this month. "Price tag ... King David for the Jews ... Jesus is garbage" was written in Hebrew on the wall of St George's Romanian Orthodox church near an ultra-Orthodox Jewish neighborhood. Police also said "Death to Arabs" was found written on a house in the Old City in east Jerusalem, and swastikas were scrawled on the wall of a west Jerusalem apartment. After Hebrew graffiti reading "Death to Arabs and Christians and to everyone who hates Israel" was daubed on its Notre Dame complex in Jerusalem on Monday, the Roman Catholic church demanded Israeli action. "The bishops are very concerned about the lack of security and lack of responsiveness from the political sector, and fear an escalation of violence," the Latin Patriarchate of Jerusalem said. The attacks on Christian property come amid a rise in anti-Arab property crimes. Israeli ministers held an emergency meeting Wednesday, pledging to enforce harsh measures against perpetrators. Although police have made scores of arrests, there have been nearly no successful prosecutions for such attacks, and the government has come up under mounting pressure to authorize the Shin Bet internal security agency to step in. The Pope's visit to the region is scheduled to begin in Jordan on May 24. Haaretz newspaper said that the hate crimes which are committed by extremist Jewish groups against Arab property and holy sites are on the rise while the Israeli authorities are not serious about punishing the perpetrators. In a recent report, the newspaper noted that the growing support for the perpetrators or the price tag gang from right-wing figures and settler leaders are behind this rise in Jewish hate attacks against Arabs. It pointed to a report by the Shin Bet saying that "about 100 people are actively involved in extreme right-wing violence, notably the 'price tag' acts. Another few hundreds constitute the supportive camp that abets the attacks." It also blamed the Israeli official authorities for not taking firm action against this phenomenon. Although the Israeli authorities know that the main fanatic activists, who support such attacks, are concentrated in Yitzhar settlement near Ramallah, they are deliberately persistent in taking no action curbing this violence, Haaretz stated.